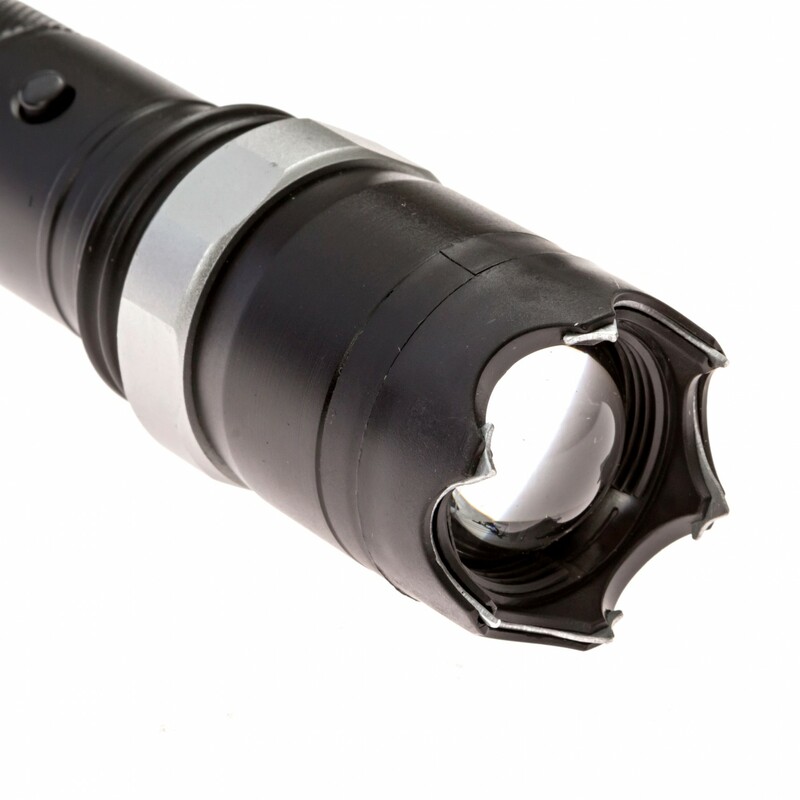 PROFESSIONAL DEFENSE EQUIPMENT: Engineered to meet the demands of Police, Military and Security Professionals worldwide. 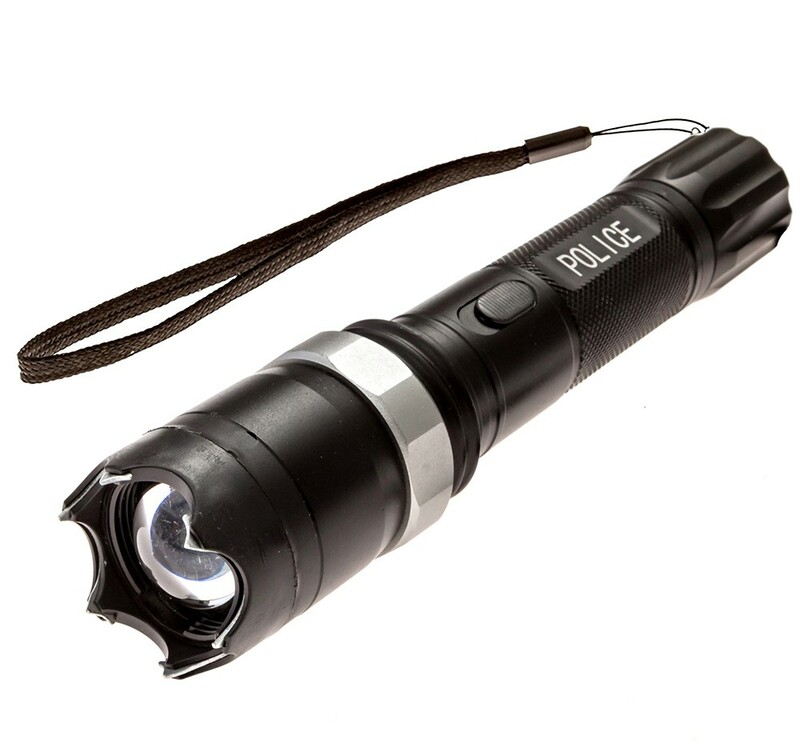 SHARK TEETH PRONGS TECHNOLOGY: so powerful that it can easy deter any attacker and sure to bring them to knees and can collect DNA for police use and evidence. 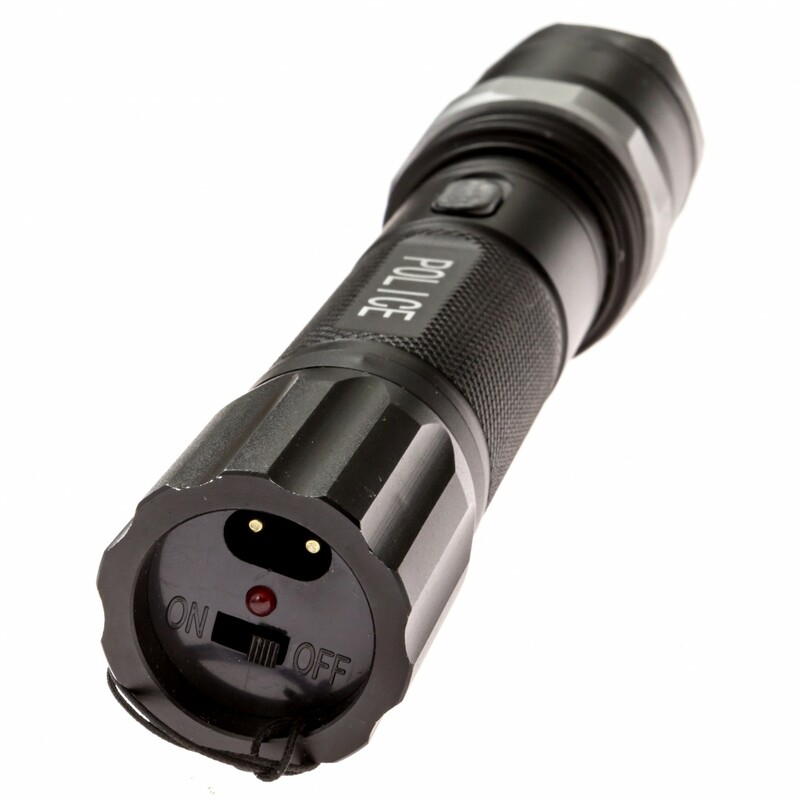 SAFETY ON/OFF SWITCH: so the flashlight stun gun is safe from accidental discharge and kept deactivated from children. 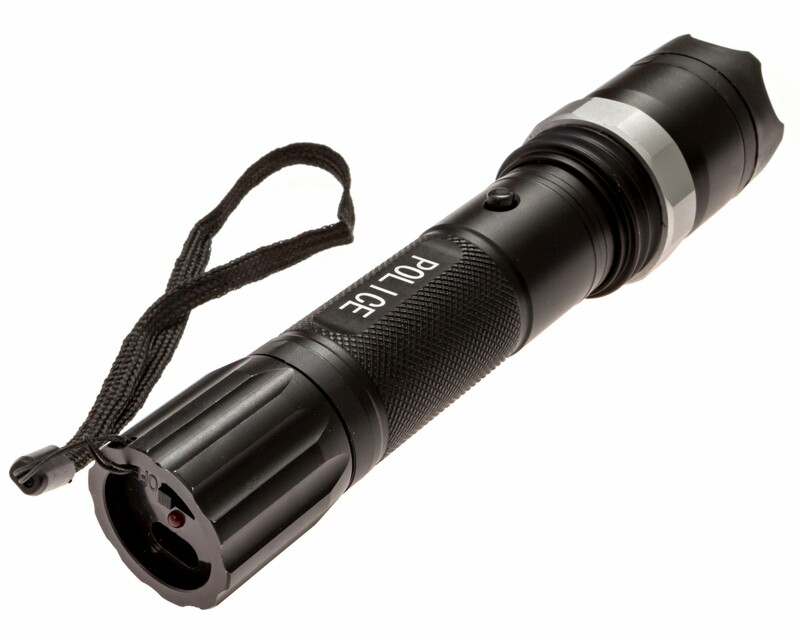 BUILT IN 400-LUMENT LED FlASHLIGHT. 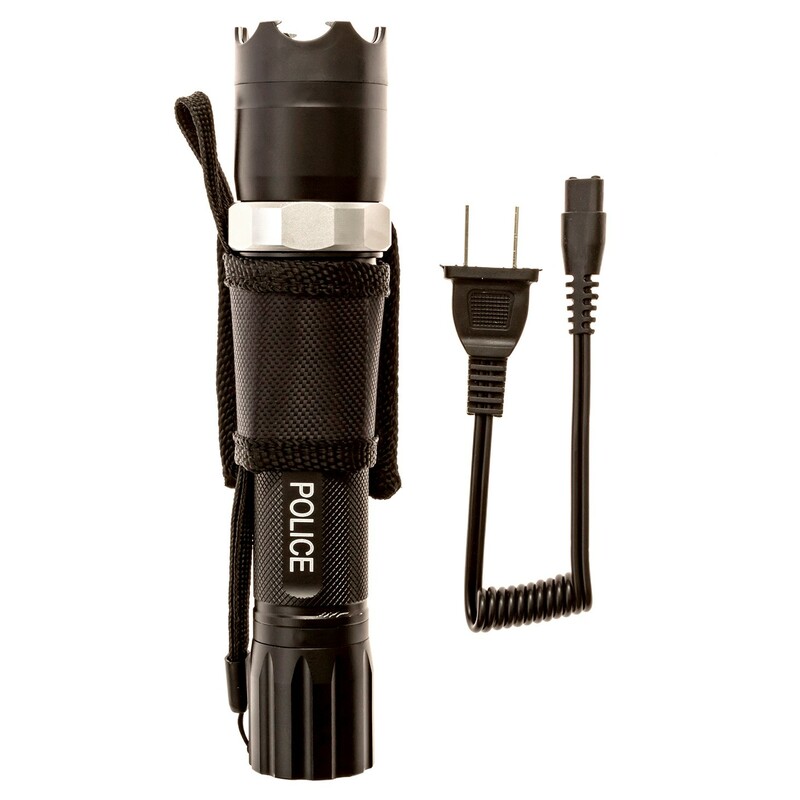 Flashlight is equipped with 3 light modes (Bright, Low and Strobe) and adjustable beam focus feature. 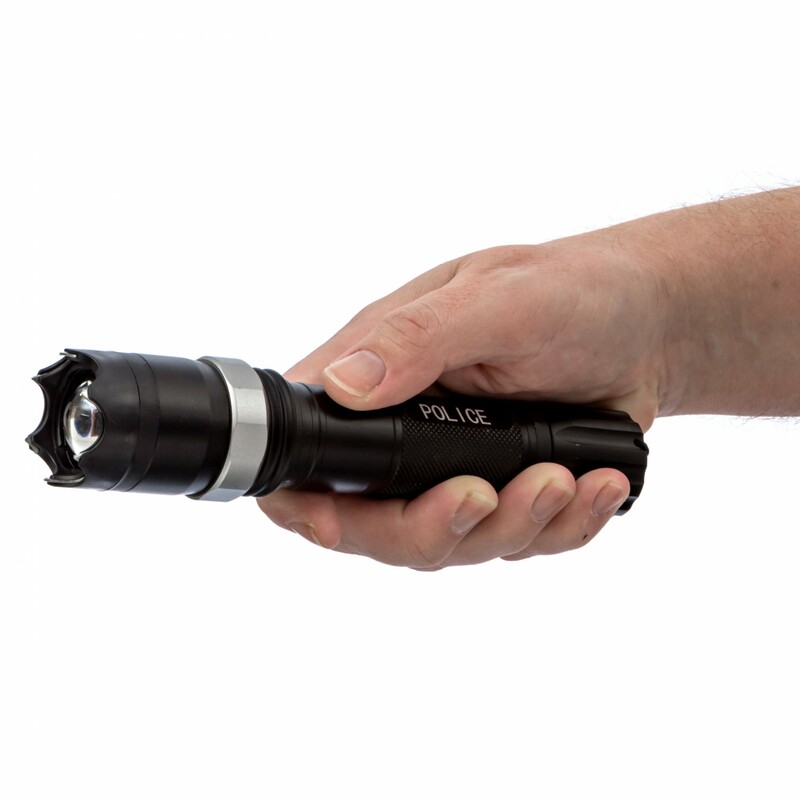 Focus is controlled by rotating the bezel spot and flood lighting is all available. RECHARGEABLE BATTERY - recharge cord included and simply plugs into a standard wall outlet to save you money on batteries. 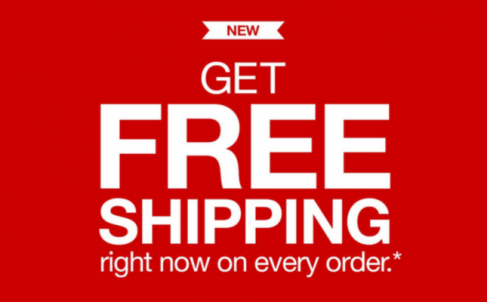 FREE HOLSTER INCLUDED: A durable holster is included for easy carrying. 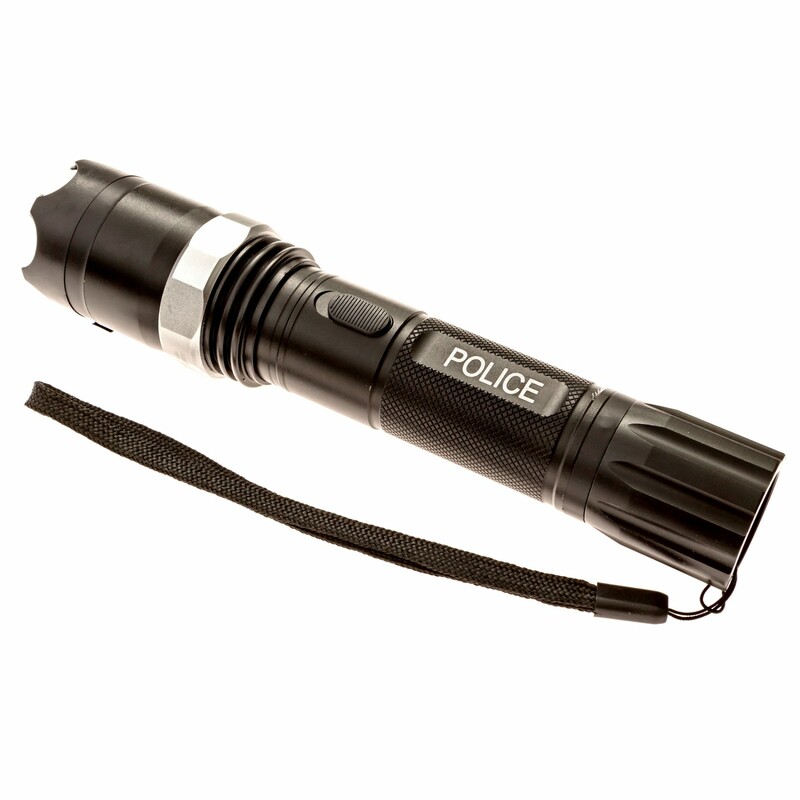 Excellent product great price works very well for self defense. 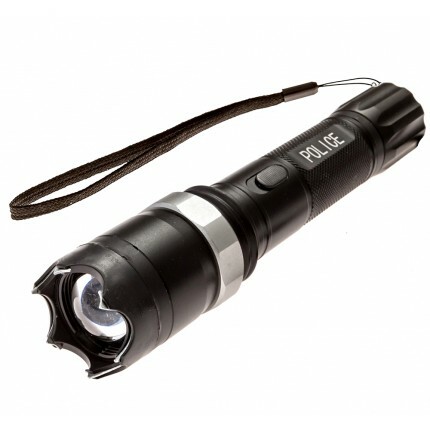 The electric discharge alone causes most people to step back. 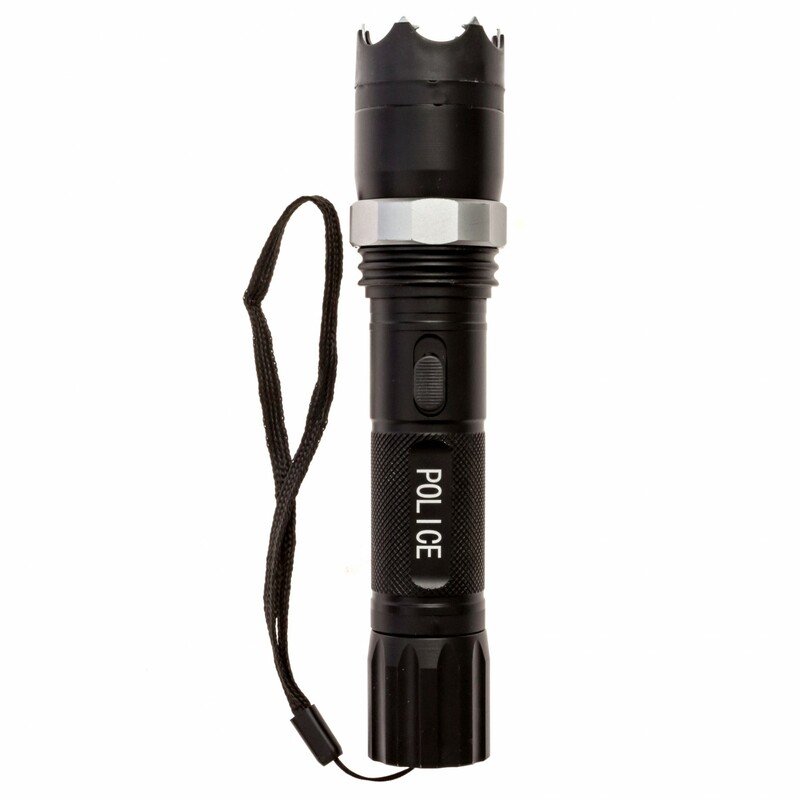 PoliceMart is specializes in selling self-defense products for everybody who is looking for protection they can have in their purse or pocket when danger comes along. Trademark POLICE® is officially registered in the USA. 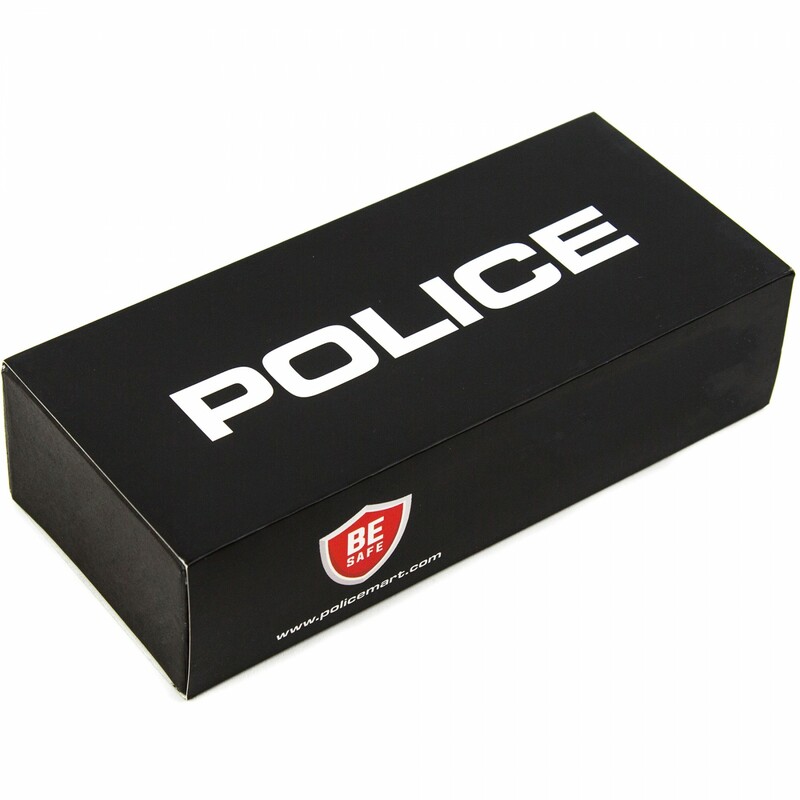 We are proud to announce our trademark POLICE® is officially registered trademark in the USA.